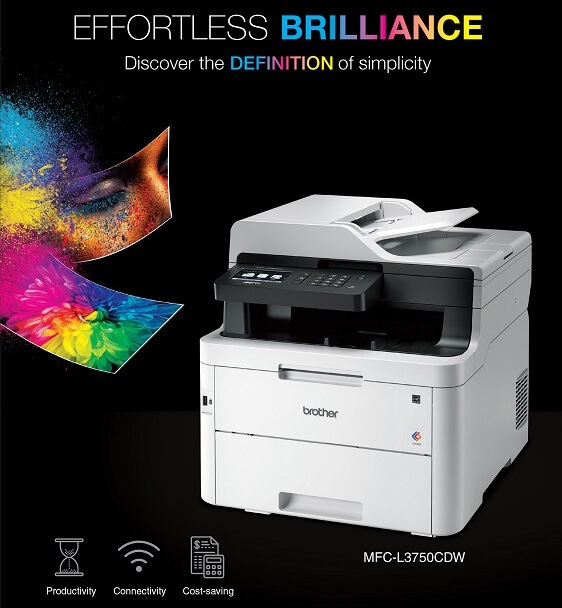 Brother Philippines has launched its new series of color LED printers and Multi-Function Centers (MFCs) as part of their initiative to deliver cutting-edge productivity and cost-saving technology for home offices and small and medium enterprises. This new series features two color LED printers, HL-L3230CDN, HL-L3270CDW, and two Multi-Function Centers, the MFC-L3735CDN and MFC-L3770CDW. With the new machines, the company promises remarkable productivity with impressive professional-looking documents that have vivid color and sharp definition graphics at high quality resolution of 2,400 dpi; increased print speed, quick scan speed, advanced paper handling, and seamless multi-page scanning; convenient shortcuts to commonly-used tasks on the large and user-friendly LCD touchscreen; multi-tasking capabilities, as well as larger memory and processor that can handle high volume print jobs with processor speeds of 800MHz and increased memory of up to 512MB. Moreover, the printers' high-yield toner of up to 3,000 pages makes for a lower cost-per-page. Its automatic two-sided printing promise to reduce paper wastage by half. It also has a Toner Save Mode that gives the option to print using less toner, while still maintaining crisp text and vibrant colors. Brother has also enabled effortless mobile printer through iPrint&Scan, Apple AirPrint, Mopria® and Google Cloud Print, as well as enjoy convenient wireless printing of documents, presentations and emails from notebook PCs, smartphones, or tablets. Scanning and printing are also made possible via mobile devices even without network access through Wi-Fi Direct. The machines also have an integrated USB reader for convenient prints or scans. The new series also features secure Function Lock that restricts access by assigning authorized users or groups with a PIN; Secure Print that ensures that documents sent for print remain stored in the printer's memory until a unique password is entered; and Setting Lock that allows users to lock their LCD touchscreen panel to avoid unauthorized users from tampering with the machine configurations.